Your website is the hub of your business, it is where people go to learn about your business, your products or services, contact you, make purchases… the list goes on. You wouldn’t want to slack in the design and functionality of your website, so why would you slack in its content? Content will bring people to your website, make them stay there, and then give them a reason to come back. It will help drive consumers down the sales funnel by educating them on your product and ultimately getting them to make that purchase. It will even help you stand out from your competitors. Where does this content come from? Blogs. And how can it accomplish all of this for your business? Below are seven reasons how a blog can help your website and your business. The better your search engine optimization strategy, the higher search engine results page position you’ll have. Your website’s SERP position is important because 75% of clicks go to first page results, and ideally you want to be one of the top three results because they will receive over half of all clicks. It is SEO best practice to always write your content with SEO top of mind. This means optimizing it from the beginning. Before you start writing, you should have a list of high traffic keywords that you’re aiming to rank for. The more blogs that you write, the more opportunities you have to use your targeted keywords. In addition to applying your SEO strategy directly to the content, you can also optimize within the web page. Meta title tags are essentially the “title” of the web page, it’s the words you see on the tab at the top of your browser. Search engines pull these keywords when deciding if your content is most relevant to the user’s search. Therefore, you should should research what keywords best represent the content and will receive high traffic. Meta descriptions are basically a free advertisement for your website and should always be used effectively. Include the same targeted keywords as your title tag and write the content in an appealing way to get the user to click through. 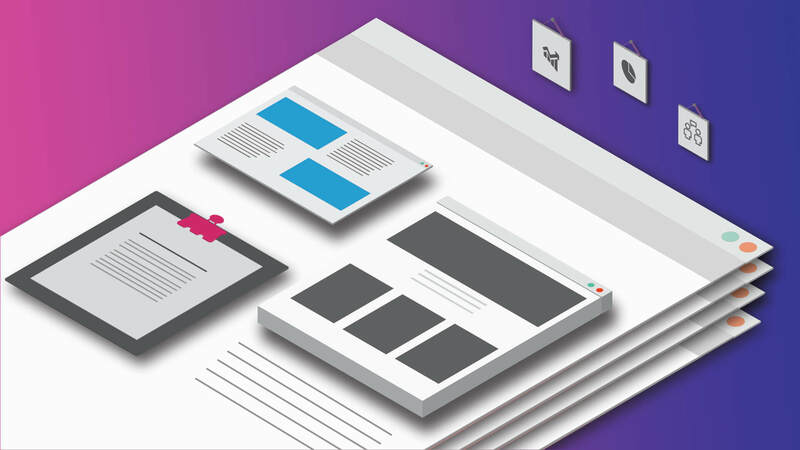 In addition to the metas, there are opportunities to optimize image alt tags, headline tags, and much more on every page of your website– you can learn more about on-site SEO here. The more blog articles you have, the more opportunities you have to implement your on-site SEO strategy and improve your ranking. Thanks to SEO, the more content that you have, the easier it is for people to find your website. While you are working to improve your SEO strategy and rank for more keywords, people are actually searching for those keywords. If you have a blog article that compares the Apple iPhone to the Samsung Galaxy, then your blog should appear on the SERP for a search of “Apple iPhone vs. Samsung Galaxy.” Website traffic from a scenario like this would be considered organic traffic. Internal links are links that you put in your own content to drive traffic to another page on your website. For example, I added a link to one of our blogs about on-site SEO strategies earlier in this article. I did this to provide more information on a topic. You might want to include links to your own content if there’s a preexisting blog that can give more helpful information, if you want to mention a related service or product that you offer, or if you want to direct the reader to any landing page on your website. External links or backlinks are links to your website that have been published on someone else’s website. You might receive backlinks if your information is being sourced in another article, or if they are just sharing your content because they like what you have to say. You can also create your own backlinks to your blog by publishing your blogs on other websites in addition to your own website, like industry forums or Medium, and linking back to the original source on your website. Consistently updating the content on your website can drive more direct traffic to your website. Direct traffic is when someone goes straight to your website without searching for it. People will continue to visit your site to see the new content you’re releasing. If you regularly add blogs on Tuesdays and Thursdays, you might see a spike in direct traffic to your site on those days because people are anticipating your newest post and want to read it. Use your blog as a tool to drive consumers down the sales funnel. You should write content for each stage of the customer journey. Here’s some guidance for each stage. Awareness Stage: This is where the sales funnel begins. Consumers have an initial question that needs an answer or a problem that needs to be solved. Content written for the awareness stage should be educational and should answer the basic questions your consumer might be asking. For example, someone is looking for a digital marketing agency and they know they want to ask about SEO. They might be searching for terms like “what is SEO” or “how can I start improving my SEO?” Your content should answer those questions and also position you as the solution. Consideration Stage: The consumer wants more information about their question in this stage, and you should utilize this stage to give positive information about what you can offer. Your content should confirm that you’re the best choice. Perhaps an interview with a happy customer or glowing reviews from clients. This could also be a case study highlighting the key performance indicators of a past job. Conversion Stage: Now the consumer is ready to make a decision and make the purchase or book the service. Your content should focus on why you’re the best option in relation to competitors. Content for this stage could be a comparison chart of your product and a competitor product which highlights all of the key aspects of your product. Use this stage to further prove why consumers should choose you over the other guy. Have you ever searched for something and the web page that you land on was published in 2010– and it’s currently 2018? That’s because blogs don’t just disappear like an advertising campaign or fade out like social media posts. Spending the time to create quality content for your website will give your the best return on investment because there is the opportunity for people to view it for years to come. This is even more likely if you continue to optimize your content to current SEO trends. HubSpot’s blog is the quintessential example of a great blog. They post constantly on a variety of topics. If you search for something marketing related, odds are you’re going to come across one of their blogs. In their post on the benefits of blogging, they claimed 70% of blog traffic comes from posts not published in the current month, and about 90% of leads don’t come from blogs published in the current month. Your blog allows you to market your thought leadership and knowledge in your industry. Have something to say about a trending topic in your industry? Found a new solution to a common problem? Want to share a strategy that you developed? Blog about it. Taking this extra step to showcase your knowledge and skills will help you stand out against competitors who have lesser quality blogs or don’t have a blog at all. Using this space on your website to market your skills will also help you grow your reputation and evolve you into the source that go to when they are looking for answers to their questions about your industry. Just like how we look to HubSpot for marketing advice, someone could be using your website as their source of knowledge for your industry. It is hard to come up with social media content for every single day, and ideally, that’s how often you should be posting. Blogs are great content to post on your social accounts, especially if you have quality photography or engaging images to pair with the content. If your posts usually consist of a lot of company culture, posting your blogs will demonstrate more of what your business does and can help show more of the other side. Posting your blogs on social media will also get more traffic to your website and blogs. Instead of just relying on people finding your blog through search engines, they can now find you through social media. One of the best platforms for this strategy is LinkedIn, as articles and blogs get a lot of engagement on LinkedIn. LinkedIn is responsible for 64% of all visits from social media channels to business websites. This is impressive as there are several social media platforms, and LinkedIn is responsible for over half of these website visits. LinkedIn also allows you to really target specific industries with the use of LinkedIn Groups. Using the free tools that social media provides is a great way to get your company name noticed, and to bring people to your website. When posting your blogs on social channels, be sure to include any relevant hashtags to make it easier for people to find you. Obviously your company is run by humans, but it’s hard to see that through all of the business jargon on your website. People will appreciate content that’s clearly written by a person, with a name and a photo attached. It would be even better if that topic is written more casually that the business language that you use throughout your site. Why would you want to humanize your brand? Simply, people trust other people, and seeing your people will help consumers trust your company. Using real photos of your staff and writing with personality will support these efforts. Your business will benefit from adding content to your website. Blogs have proven to increase website traffic and generate leads time and time again. Take these seven reasons and follow the blog content creation strategies to continue to grow your brand online. If you need more guidance on your content strategy or don’t know how to get started, you can learn more about our content creation services.